Often when a museum is dealing with tight margins, dropping interest from local visitors, and growing infrastructure concerns, they are inclined to draw inward, hunker down, and try to weather the storm by protecting the visitors, donors, and physical spaces they need to survive. Unfortunately, this can backfire, further alienating an institution from the very people that can stabilize and enliven it. While it may feel risky, going out into the community can be a pathway to survival and growth for a museum. I recently had the good fortune to meet with one such organization, the Museum of the Shenandoah Valley, who took this route. The Museum of the Shenandoah Valley (MSV) was created in 2005 with a two-fold mission: To house the fine and decorative arts collections of Julian Glass Jr., whose ancestral estate the MSV is built on, and to collect and share the arts and culture of the Shenandoah Valley. The Museum came about after Glass designated in his will that his family estate, Glen Burnie, become a historic house museum after his death. Glen Burnie opened to the public in 1997 and the house and museum were moderately successful, seeing about thirty thousand visitors a year in 2013. But the MSV seemed unable to grow their visitorship beyond that point and had the all too common experience of small museums where the same group of people was constantly engaged with the site, with little interaction with the larger community. Executive Director Dana Hand Evans, who came on board around that time saw the potential of the site and set out to bring more people into the MSV. They entered into a phase of strategic planning and created a ten year Master Plan to shape the MSV into a “cultural park” for the town of Winchester, VA and the Valley beyond. Evans made a series of curatorial, programmatic, and financial decisions that resulted in big changes and an uptick in local engagement with the museum. Some of these decisions were small, but made the MSV more welcoming. They opened up their spaces to local organizations for meetings and other events at no charge. Suddenly the local college had access to an offsite space with a piano they could hold concerts in, and local non-profits didn’t need to search for meeting space, and lines of dialogue were opening up. At the same time, the MSV made the choice to stop pursuing grant opportunities that were open to social services. The Shenandoah Valley is a relatively poor area, with the majority of the students in the public school system eligible for free or reduced lunch. In reducing competition for funding for needed services, the MSV signaled to the community that they wanted to help build the people of the Valley up, not just preserve the memory of the people who lived there in the past. 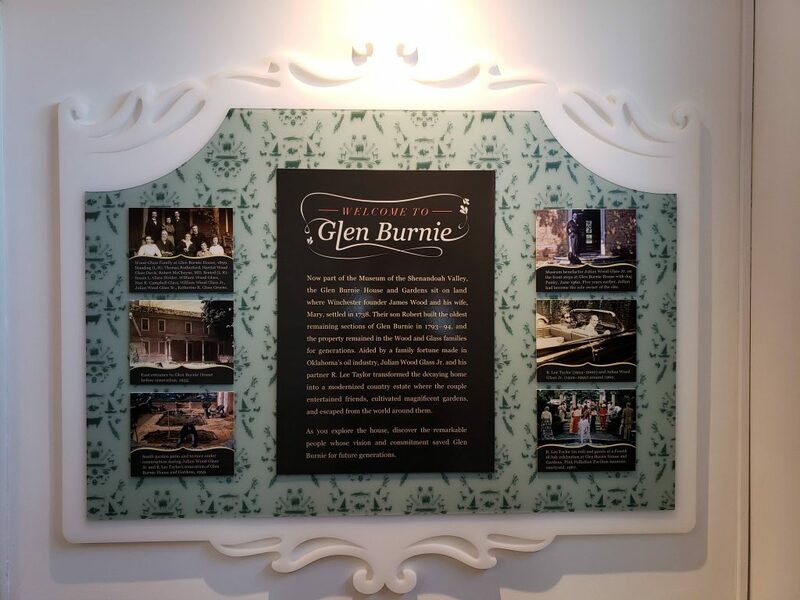 A bigger change was to completely revise the interpretive experience of Glen Burnie, their historic house museum. Previously, the house had been a traditional historic house, with roped-off rooms displaying beautiful objects but with little context about who actually lived in the house. The house needed structural work and they had obtained an NEH grant to remove the contents of the house, do repairs, then reinstall it exactly as it had been before. However, Evans saw an opportunity to do more than maintain the status quo. The MSV undertook a series of listening sessions with community leaders, organizations, teachers, and more to hear their concerns and interests for the site, and to discuss ways to bring more people into the house. Evans and the MSV returned the NEH grant which did not allow for interpretive changes to be made, and sought alternative funding for a new interpretation that featured Julian Glass, Jr. and R. Lee Taylor as central figures in the house, giving visitors a peek into the mid-century life of two gay men who preserved and restored the house and gardens, filled it with fine decorative arts and furniture, and turned it into a social gathering place for their extensive group of friends and family. Glen Burnie’s new welcome panel, featuring snapshots from Glass and Taylor’s personal collection. Building on the success of that risk, Evans and the MSV have taken many more steps to build stronger bonds between the museum and the larger community. Local artists are now displayed in a small gallery, and a cafe was turned into a makerspace that offers classes and workshops to the public. Other arts education spaces have also been constructed. Seeking a way to expand use of their considerable grounds, the MSV recently completed fundraising to add three miles of walking and biking trails that will connect them to the larger Winchester Green Circle Trail and expand recreational space access for the community. And a new event oval is currently under construction, allowing the MSV to grow a small annual concert into a concert series that brings in thousands of visitors each summer. In all, the MSV has doubled its visitorship in the past six years, bringing in over seventy thousand visitors in 2018. It has taken a lot of work, fundraising, and communication, but the MSV is in a better position now that they have devoted themselves to creating and strengthening their community connections. For any smaller organizations out there wondering how to create their own sustainable futures, looking at the MSV’s philosophy may be the key. When moving to the Greater Boston Area to pursue my Masters degree in Museum Education, I made a hard decision. I chose to continue working in restaurants (a job I’ve done since I was a teenager) instead of pursuing a position at a local museum. I made this decision because restaurant work is a great way to make fast cash. As I move forward into a career in which that will no longer be the case, I wanted to start off strong with as little debt as possible and ample time to complete my course work. Sometimes, I have struggled with this choice as it has meant there is a gap in my resume when it comes to museum work. However, I have recently realized how important working in the hospitality industry has been to my experience in museums. So many of the skills I have learned in hospitality are transferrable to skills needed in museums. I firmly believe that these hospitality skills have strongly informed my ability to provide positive visitor experiences in museum environments. When Taylor brought up the idea for this post she came from almost the opposite perspective. While she had been working in visitor service positions for a long time, she was new to the restaurant industry. Quickly however, she began to be referred to as a “rock star hostess.” So how did Taylor pick up the restaurant brand of hospitality so quickly? For her, it was so similar to the type of experience she strived to provide for visitors in museums she has worked in. As museums become more visitor-centered and less object-centered it is important for us to see ourselves as institutions of hospitality. We can look towards the hospitality industry to help inform our practices within the museum. So what are our biggest takeaways? The vocabulary we use matters: Most hospitality focused restaurants don’t refer to their patrons as customers. It is too transactional. We focus on our guests. Guests are those that we invite in, they are wanted, accommodated, and catered too. In museums we need to think of our visitors as guests as well. First impressions are everything: From the atmosphere, to the signage, to the person greeting you. In a restaurant, the host/hostess is your first point of contact. They will set the tone for your entire experience, so friendly and personable staff are a must. But what about museums? Is there someone to greet visitors? Are the visitor service staff responsive? What is the tone we are setting? Restaurants know how to sell their product: Hospitality industry professionals have a lot of experience in selling their product. From the restaurant itself to up-selling the food and drink, this takes lots of knowledge of not just the products but of the audience as well. We need to know our audiences and understand what they want out of their experience. As we know, there are many different types of visitors with varying needs. Flexibility: Not all guests are looking for the same experience. We have to be flexible and fluid in order to provide satisfying and enriching experiences to a diverse audience. The same approach will not work with a group of millennials out for drinks that will work with an older couple having lunch. The same is true for museum visitors. Steps of service: Restaurants have very defined steps of service that guide our guests experiences. This does not in turn mean there is no free-choice within it. However, by creating these steps of service restaurants are able to be flexible while still provide superior service. Many museums think about visitor flow when designing exhibits. Creating steps of service within a museum experience can help us to better serve our visitors. Empathy and Tolerance: Restaurant professionals are highly experienced in empathy and tolerance. While we may use these words differently in the museum field. It is important as museum professionals that we don’t just teach empathy and tolerance but that we live it. In order to provide positive visitor experiences it is important that we can empathize with our visitors to better understand their needs as well as be tolerant to those that have different needs. The human connection: Hospitality professionals are experienced in creating personal connections in short periods of time. We talk to people from many different walks of life on a daily basis and if we want them to return it is important to create those connections. This, to me, is the biggest transferrable skill to the museum field. We want our visitors to make personal connections to what we are presenting. If museum professionals are not adept in making those connections how can they design and implement experiences that do. These social skills are so important. Ability to anticipate visitor needs: It is so important in both restaurants and museums for staff to be able to anticipate our guests and visitors needs before they can verbalize, or even know, what those needs are. These can be as basic as providing easily accessible bathrooms and comfortable seating or more complex such as providing for guests with disabilities. We need to anticipate everything our visitors may need when designing programming and exhibitions. While this is just a short list there are many more things that museums can learn from restaurants as museums become more and more visitor focused. Back in January, we mentioned that Chicago’s Field Museum had recently announced a major overhaul to their Native North American Hall. The exhibit largely dates back to the 1950s, and is sorely in need of cosmetic updates to their displays and better interpretive labels. However, the most serious issue with the current exhibit is its treatment of Native Americans as people from the past, instead of peoples with varied and traumatic pasts that still exist today, playing a key role in some of the most complicated issues facing the United States and the rest of North America now. The new exhibit is being undertaken with input from a variety of indigenous stakeholders and will . include contemporary depictions of Native Americans and rotating displays to continue telling better stories. 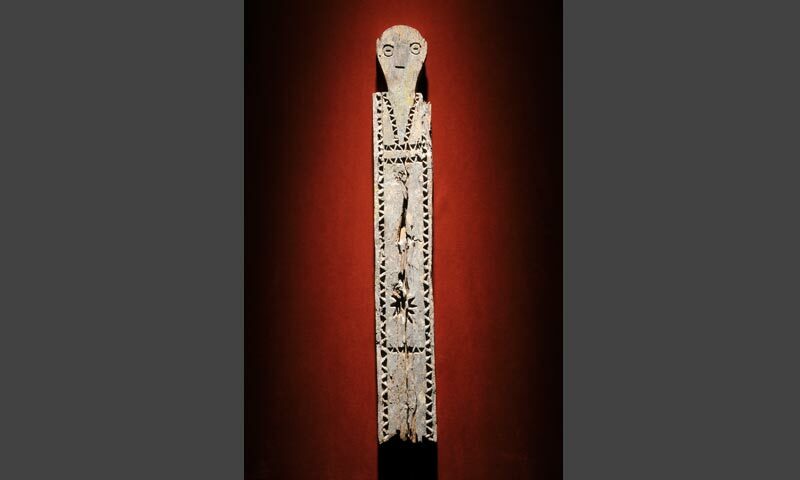 The museum is also working to increase the number of indigenous people on their staff. An example of the out of date displays in the Field Museum’s North American Hall, 2017. Photo by author. I visited the Field Museum in 2017, shortly before they closed the hall for the renovations. The space was clearly in need of attention, featuring collections of objects with little or no context for who owned them, or how they were used. 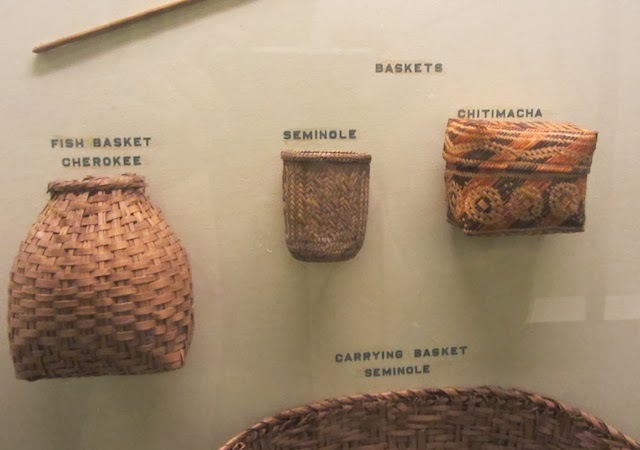 The Field has one of the most robust collections of Plains tribes in . the world, yet I found little indication of what separated Cheyenne from Araphaho or Cree from Sioux. However, I did see reason to have hope for the hall’s future, because I was there during “Drawing on Tradition: Kansa Artist Chris Pappan,” which ran from October 29, 2016 to January 21, 2019. This interim exhibit changed the way visitors thought about the original contents of the hall, while also dispelling the trope of the “vanishing Indian,” showing modern indigenous art that draws on historical native art practices. The exhibit, a mixture of prints, drawings, and video/sound pieces, often laid the new pieces directly over the vitrines full of decontextualized native objects via transparent overlays. New interpretive labels were also used that referenced both the new pieces and old, bringing them together in a dialogue. The effect was that of literally rewriting history. It was exciting to feel the space come to life through the vivid artwork of Chris Pappan, and it inspired questions about what it means to have the history of people frozen in time, without room for input from the people depicted. It will be exciting to see how the Field tells these stories in a more permanent fashion when the new exhibit opens in 2021. I suspect we will see more of this concept of the “overlay” employed as a method that tells a more whole version of history without erasing previous mistakes. This method is being employed now in another major natural history museum. The American Museum of Natural History in New York has recently unveiled an update to their infamous dioramas in the Theodore Roosevelt Memorial Hall. The diorama, built in the 1910s, supposedly depicts a meeting between Lenape tribespeople and Dutch settler colonists, including Governor Peter Stuyvesant, but it is riddled with inaccuracies and promoted racist and hegemonic visions of history. Encouraged to make changes by both internal and external forces, including Decolonize This Place, which has been protesting at the museum for several years. Rather than remove the dioramas and thus hide the museum’s complicity in promoting racist interpretations of American history, the museum has chosen to reinterpret the diorama with labels laid directly over the glass. The new panels correct wrong information, such as what the Lenape would have worn to such an important meeting, and posit important questions like, “Where are the Lenape today?” These corrections are important for teaching visitors who are not experts in the content that previous interpretations had an agenda and advanced stereotypes about indigenous people that have assisted in legitimizing state-sanctioned violence against them since the founding of the American colonies. The use of transparencies and edits is a useful way to provide context and right interpretive wrongs without removing the wrongs. In preventing institutions from, essentially, deleting their tweets, we can both remember what was previously permitted as acceptable and hold institutions accountable while learning new material. These overlays are a powerful tool for both institutions and marginalized peoples and can be deployed in a number of contexts. In the wake of the “Leaving Neverland” documentary, chronicling the allegations of of sexual assault by Michael Jackson, the Children’s Museum of Indianapolis has decided to remove three Michael Jackson artifacts from display. The Museum’s decision was the result of their decision to be “very sensitive to our audience.” The Children’s Museum of Indianapolis made a swift decision when faced with controversy. However other museums, such as the Bundekunsthalle in Germany, have chosen different paths. The Bundekunsthalle has decided to continue with their plans to open Michael Jackson: On the Wall, an exhibition focusing on the musician’s influence on contemporary art. Museum organizers have decided to avoid discussing his biography in favor “examining his cultural impact” as a way to anticipate and avoid the allegation’s and controversy surrounding Jackson. In both these cases the Museums have decided to remove or avoid objects or subjects as a means to evade controversy. Yet, as Willard L. Boyd wrote in his piece Museums as Centers of Controversy, museums should “consciously invite controversy” in order to inform and stimulate visitor learning. While Boyd speaks more to controversial ideas presented in the museum than to the more recently common controversial actions conducted by a museum, as more often than not centers of controversy, museums must learn how to deal with controversy. So, how should museums deal with controversy? Museums can look to the National Coalition Against Censorship’s Best Practices for Managing Controversy as a good jumping off point. The best way to deal with controversy is to anticipate it, have a plan, be transparent, create an educational framework that can provide context to why a curatorial choice may be, or is, controversial. What I believe if missing from their “Best Practices” list is the importance of speaking with the communities involved or effected by the controversy. Museums are not neutral and generally have institutional biases that reflect Western colonial power imbalances, we must as museum practitioners acknowledge that fact and incorporate the voices of those that were historically silenced. Overall, I am not quite sure how a museum should deal with controversy. Likely, there is not one definitive answer. But, as museums have been dealing with controversy for many years and will continue to in the future, as museum professionals we can take note of how museums have dealt with past controversies to help inform our decisions for the future.